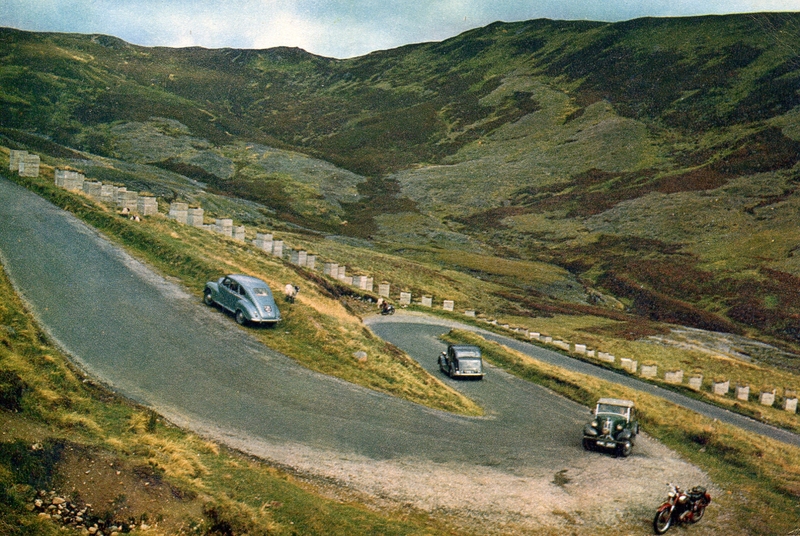 I’ve got a few postcards of this, the Devil’s Elbow on the Cairnwell Pass in Scotland. Perhaps I’ll get them all together when I have some time. I like that sleek Jowett Javelin parked up on the grass. Looks like a Rolls heading down but that convertible on the right eludes me. I know it, but cannot for the life of me recall it. I bet it’s hot though.